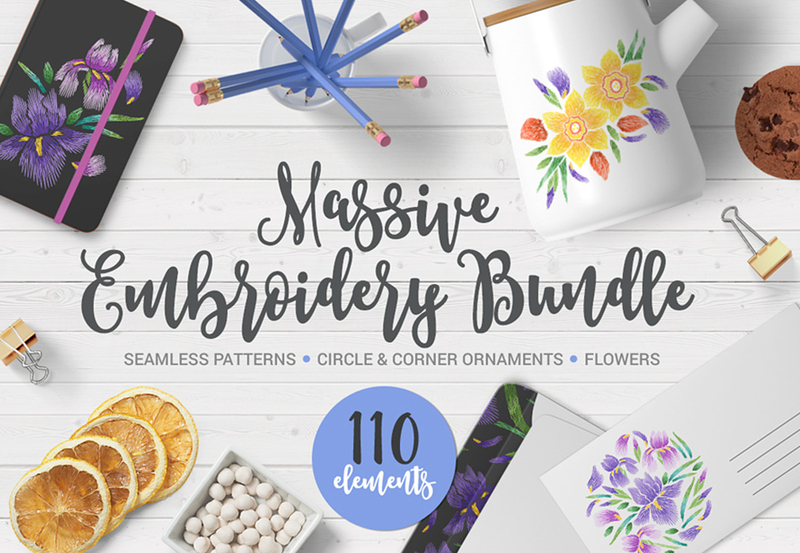 Massive Embroidery Bundle includes 20 flowers, 30 seamless patterns, 20 neckline designs, 20 corner and 20 circle ornaments. Hand drawn set with peony, narcissus, edelweiss, poppy, anemone, magnolia, iris, lily, dandelion, cornflower, orchid, hydrangea, portulaca, jasmine, freesia, gerbera, bellflower, carnation, water lily. 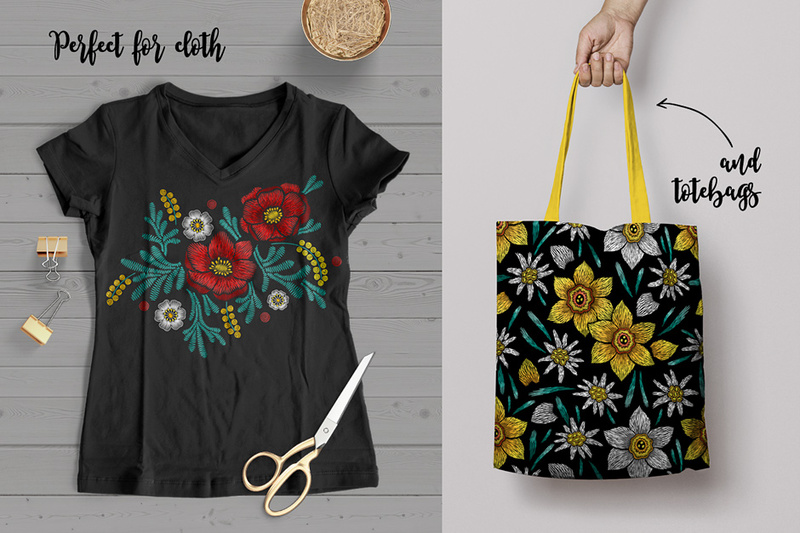 These embroidery elements are perfect for woman’s fabric, bags, spring and summer greeting cards, wedding invitations, cosmetics and other decorations. 80 illustrations and 30 seamless patterns in .EPS, .JPG and .PNG formats. Software compatibility:Adobe Illustrator CS1 or newer. .JPG and .PNG files will work with most graphic software. .EPS files will work with a variety of programs such as Adobe Photoshop or Illustrator, Sketch, InkScape, Affinity, Corel Draw, etc. File size is approx 795MB (904MB unzipped), offered as a single download.